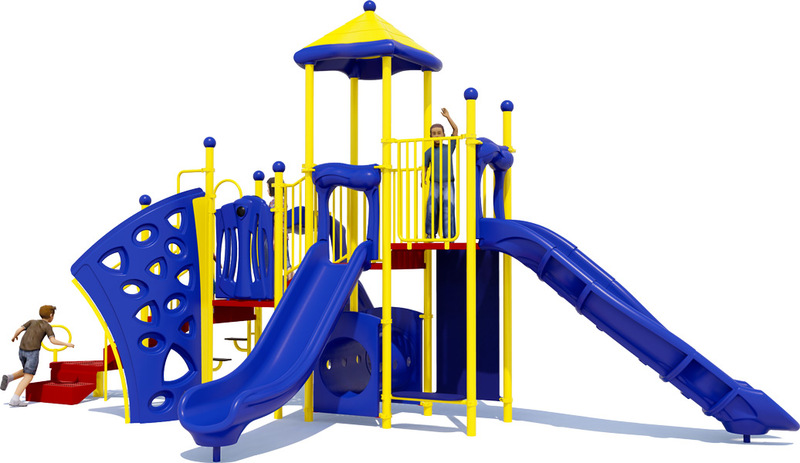 The Playscape commercial playground structure is a perfect blend of all our playground activies and features. This structure and its components can entertain as many as 45 children ages 5 to 12 years. 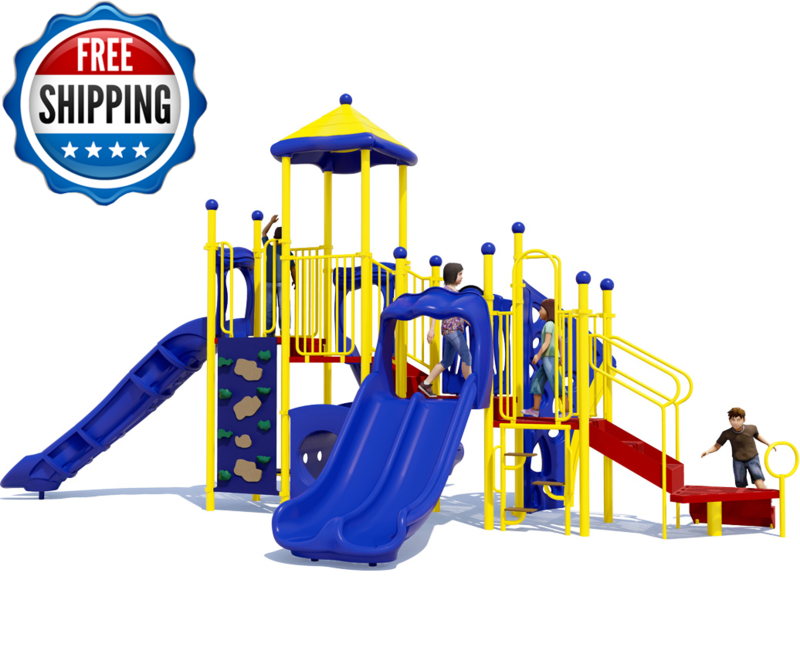 This playground is home to 4 slides for classic fun and excitement. 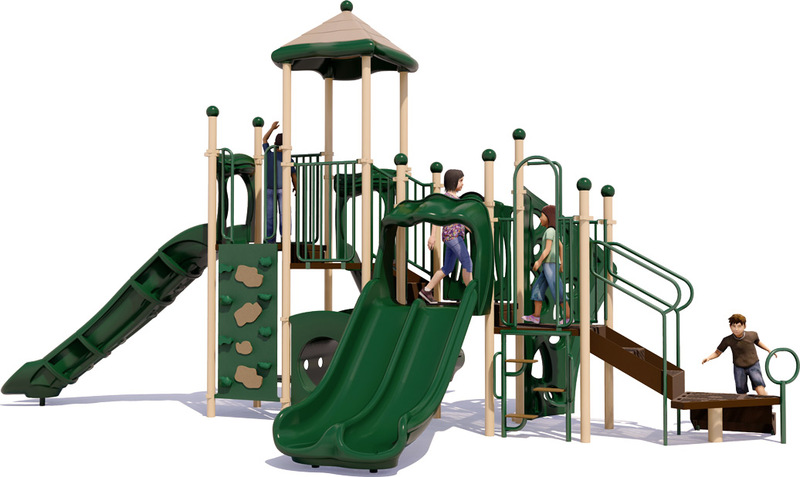 It also has 3 different climbers to promote different types of physical activity. The Zip step climber focus on legs and lower body fitness, while the Cliff Climber and MaxClimb Ascend challeng upper body muscle groups while improving coordination. The included Playwheel stimulates imagination. The Bench Seat provides socialization opportunities. 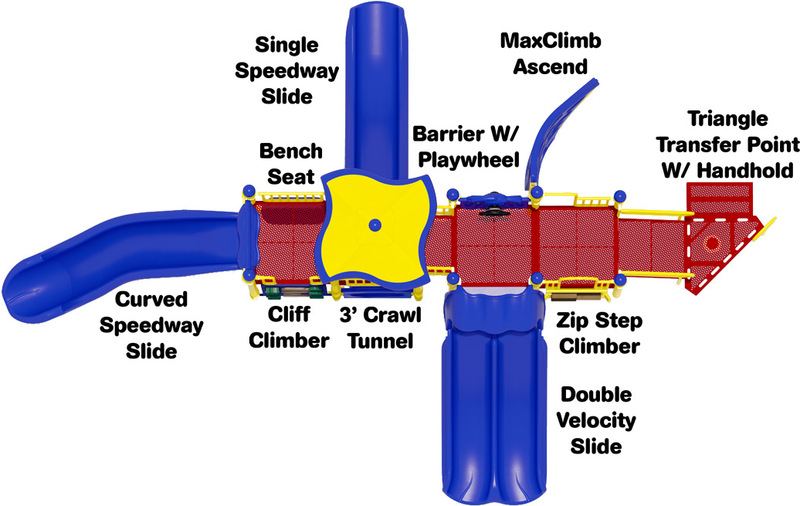 The Crawl Tunnel offers classic fun for the younger kids on the playground. Our unique Rosetta Roof not only offers partial shade, but the roto-molded interior faces have pictures and phrases that encourage outdoor learning.